FREE UK POSTAGE Back on the road again! 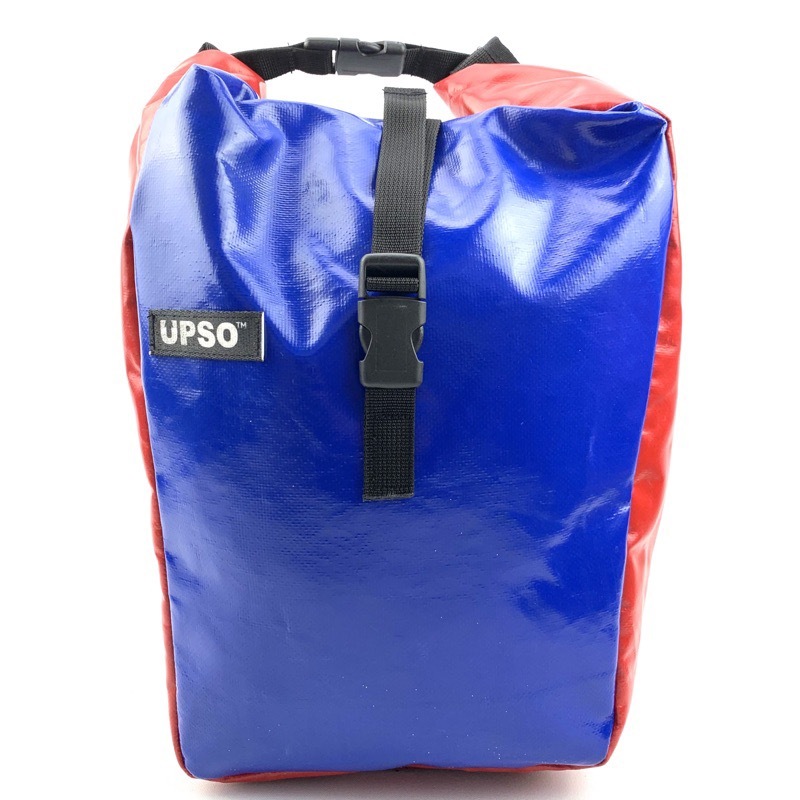 The Potters Rear Pannier is UPSO’s answer for carrying things on your bicycle. Its roll top design and bombproof construction allows varying load sizes whilst remaining extremely water proof, perfect for being on the move. It has a shoulder strap so it can also be carried comfortably off the bike. It fixes onto your bike with Quick Clip, the latest quick release system from Carradice, and is suitable for rack tubing up to 13mm in diameter.